Alison had a nice run in St. Petersburg. She face a tough opponent in Aryna Sabalenka (WTA-10) in her second singles match but reached the semis in doubles alongside Kirsten Flipkens. A singles win over her doubles partner booked a place in the round of sixteen. 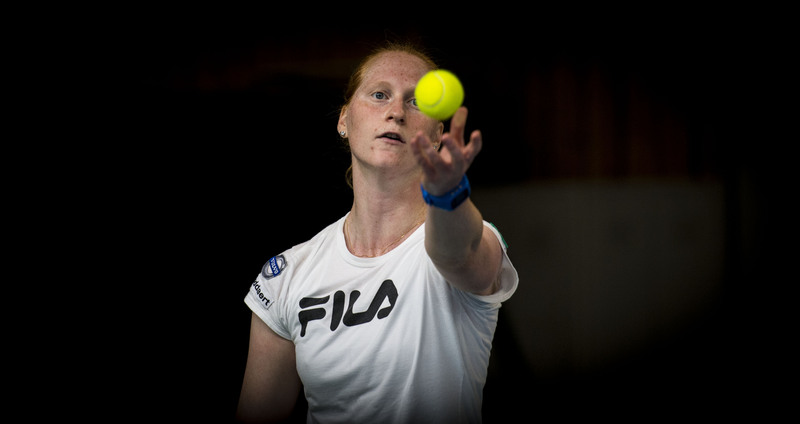 Alison then faced rising star Sabalenka, who was looking for revenge after losing to Alison last year in Mallorca. Ali could only win the fourth game of the second set but put up more of a fight in the second. Alison was going strong and even led by 3 games to 1. But then the player from Belarus started her comeback, as Alison lost 1-6 4-6. But at least Ali made her work for it. Alison had a very succesfull doubles tournament, as she and Kirsten came back from a set down in the quarter-finals. Kudermetova and Lapko won eight of the last ten points to win the first set but the Belgian pair on the other side of the net had a strong response. Two breaks made for a comfortable second set and led to a match tie-break. Alison and Kirsten went on an incredible run, winning the first seven(!) points. After that it couldn’t go wrong. Ali and Kirsten got the win, beating Kudermetova and Lapko 4-6 6-1 [10-3]. In the semis, Alison and Kirsten immediately fell behind. Again, they reacted swiftly, making it three all in the first set. Only for Kalinskaya and Kuzmova to get another break. A spot in the final remained possible however by playing an excellent second set. Alison and Kirsten build on a strong start in that set to win 6-2. That meanth another match tie-break. Ali and Kirsten came back from 1-4 down to make it 5-5 but their opponents made another push. Which eventually led to Alison and her doubles partner losing this match 4-6 6-2 [7-10]. Next up is the Fed Cup encounter against France.